You have selected the NBA Free One-Week Premium Trial (Includes NBA Optimizer and DFS Premium) membership level. Includes our NBA DFS Lineup Optimizer/Generator tool, which comes with player projections. 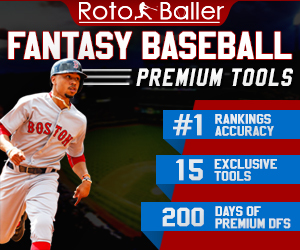 RotoBaller's NBA Premium Tools and resources for both seasonal and daily league (DFS) formats. 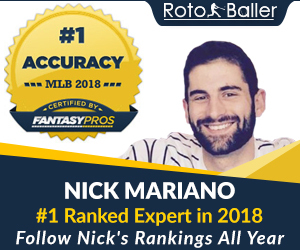 Includes preseason tools (draft kit, premium rankings, draft sleepers lists, etc), and the entire NBA season of DFS Lineup Picks, Cheat Sheets, Expert Lineups - published every day, seven days a week. NBA playoff coverage is included for DFS Lineup Picks and Cheat Sheets. The price for membership is $0.00 now and then $9.99 per Week.